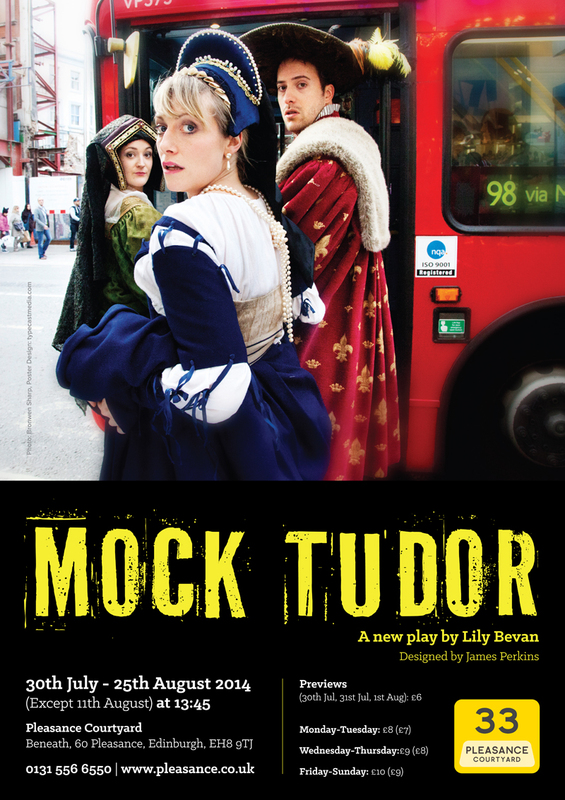 Mock Tudor at Pleasance Courtyard – Edinburgh Fringe 2014 from The London Collective, written and directed by Lily Bevan. Nic, Jess, Sophie & Sam are actors re-creating Henry VIII’s weddings, feasts, jousts, river pageants. They take pride in authenticity. Well, they try. No they aren’t all totally sure if potatoes officially exist yet. Or if it’s contradictory to wear glasses with a kirtle? Now, suddenly in Summer 2014, Visitor Operations have other ideas about ‘the future of the past.’ Life in The Old Pickling Cupboard is in danger of historic proportion. It has never been more important – to keep the Tudors alive.